Thailand's C&I industry is being hit by ongoing political turmoil in Bangkok, according to industry bodies in the country. The People's Democratic Reform Committee's (PDRC) plan to 'Seize Bangkok' – effectively shutting down the city – on January 13 has caused unease among C&I operators who are reluctant to plan anything until the political issues are resolved. The Association of Domestic Travel has also claimed the situation will squeeze C&I business. Hotel occupancy in Bangkok could drop 30-40% at a time when hotels are usually fully booked. The association's president, Yutthachai Soonthronrattanavate, said: "Tourism sentiment is not good at present. Everybody has kept their attention on politics. If the capital is seized by the PDRC as announced, travel barriers in Bangkok will get more serious." 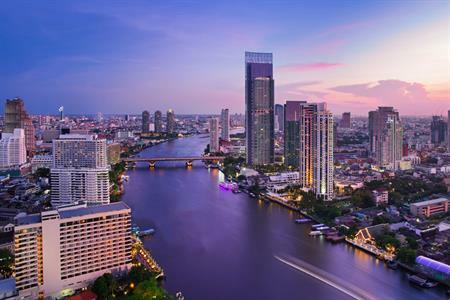 Paul Stevens, director of operations for Accor Thailand, revealed that the company’s hotels situated in downtown Bangkok had already felt an impact, with room bookings slowing down. He said: "We hope that the situation remains peaceful so that tourist arrivals can stay on track in 2014."